We are interested in evaluating the performance of new matching algorithms for user notification in digital libraries (DL). We consider a subscription system which continuously evaluates queries over a large repository containing document descriptions. The subscriptions and the document descriptions rely on a taxonomy that is a hierarchically organized set of terms. The digital library supports insertion, update and removal of a document. Each of these operations is seen as an event that must be notified only to those users whose subscriptions match the document’s description. 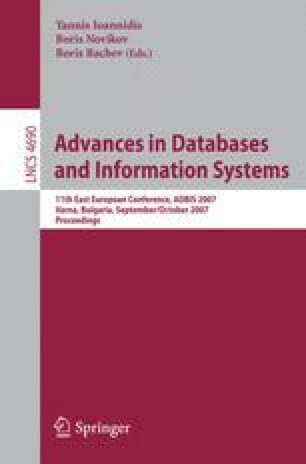 The paper proposes a notification algorithm dedicated to taxonomy-based DLs, addresses computational issues and report a full set of experiments illustrating the advantages of the approach.